Join us in Seattle for this unique opportunity! We live in a world inundated with content. Everywhere we look we are bombarded with images, entertainment, ideas, products. And they are all competing for our attention. What are the messages that get through? Why is that some Brands, both small and large, are able to break through the noise and connect with us in meaningful ways that engage, impact, and influence in a way that no only connects with consumers and clients but improves their bottom line. These Brands harness the power of the Big Story. Brian Hallett has developed this Master Class for sales executives, marketing professionals, brand communicators, bloggers, entrepreneurs and anyone else seeking a breakthrough in their Brand storytelling. Why do so many attempts at telling Brand stories fail? How can you develop your authentic story? Why are narratives less effective than real stories in capturing audiences´ attention? 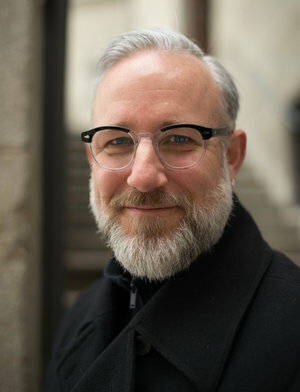 Brian has been an Associate Professor at IE University in Spain since 2012. His courses in Branding and Storytelling Through Image‑Making and Photography and Video Production within the Master in Visual and Digital Media, as well as the International MBA program, are renowned for their high‑energy and interactive teaching style, providing participants with the opportunity to achieve real and profound change and growth. Brian’s students have recognized him with the Award for Favorite Professor several times. Brian left the corporate world to pick up a camera and told stories with it. As a well‑recognized photographer & director, his passion is to work with clients to define their brands and tell their stories through unique, high‑impact campaigns. Brian encourages his clients to "take risks and tell their stories boldly," creating advertising and branded content campaigns for Big Brands.